Tumble’s Back-To-School Science Splash Jam is an ocean-themed afternoon of science fun and music! It’s the perfect way to slide into the new school year. Often referred to as “Radiolab for kids,” Tumble is a pioneering science podcast that explores stories of science discovery. 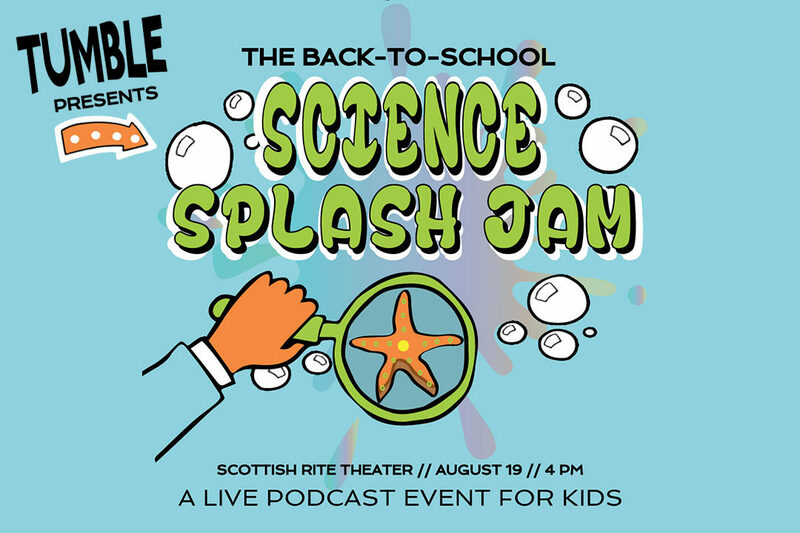 Co-hosts Lindsay Patterson and Marshall Escamilla will be presenting “The Surprising Story of Sea Stars’ Sticky Feet.” The story was inspired by a question from a listener: “How do sea stars grip onto rocks?” The answer turns 200 years of accepted science on its head. With guest stars Juli Berwald, author of Spineless: The Science of Jellyfish and the Art of Growing a Backbone, and musical guests SaulPaul and Elizabeth McQueen, the show is sure to entertain kids of all ages! Learn more about Tumble at www.sciencepodcastforkids.com. While you’re waiting for the show, check out these Sea Star Tube Feet, courtesy of Birch Aquarium and Tumble Science Podcast for Kids!